Abu Dhabi Systems & Information Center (ADSIC) needed a 2m Satellite Derived Bathymetry, 90m Bathymetric GIS Package and Marine Basemap for the Arabian Gulf. As a result Proteus FZC, a subsidiary of TCarta Marine, and a major Middle Eastern provider of remote sensing services was contracted by the Abu Dhabi Systems & Information Center. TCarta is a global provider of marine geospatial products. By combining the TCarta Marine datasets, ADSIC will be able to perform complex modeling of the entire Arabian Gulf from the shallow coastal zone around the Abu Dhabi Emirate out to the deepest waters. The datasets will be used for environmental analysis in the development of aquaculture, marine parks and other offshore operations. 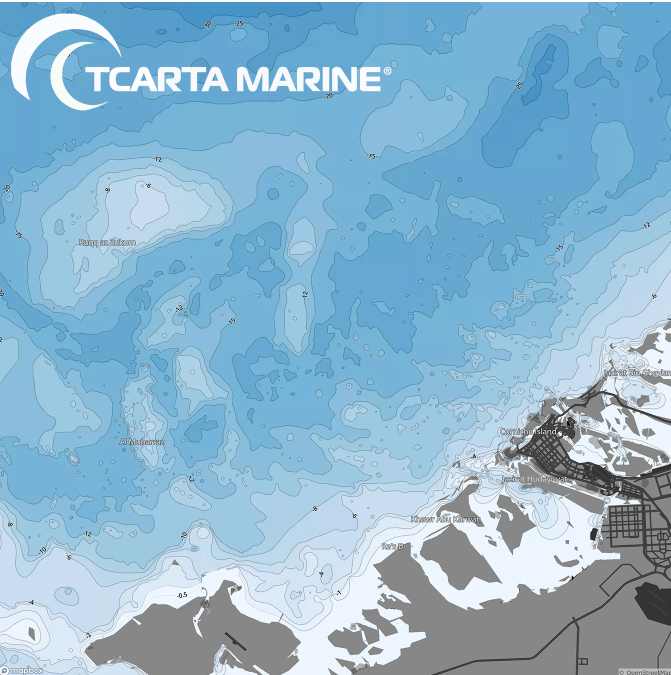 TCarta Marine CEO David Critchley, who also serves as Proteus FZC Managing Director said that ADSIC selected the TCarta Marine datasets because there are no other commercially available products with this level of bathymetric accuracy and richness of seafloor information. He added that the TCarta Marine products have reduced both the cost and time that would have been required for ADSIC to collect the data themselves. TCarta Marine, working in partnership with DHI, has delivered the 2m Bathymetry data for the coastline of the Abu Dhabi Emirate. This product is an off-the-shelf shallow water, coastal zone bathymetric dataset derived from high-resolution DigitalGlobe satellite imagery that is acquired cost effectively and quickly in near-shore areas often inaccessible to ship- and airborne data collection platforms. The 90-meter-resolution Bathymetric GIS Package, combined with the Marine Basemap now being delivered by TCarta Marine will cover the entire Arabian Gulf and stream seamlessly into the ADSIC GIS. It is a tiled map created to provide users with a scale-dependent display of a stylized bathymetry image with labeled contour lines and marine feature names. Marine Basemap is accompanied by several value-added layers of updated marine data formatted for the desktop GIS. Critchley continued that they they have created these bathymetric products with just the right level of detail so the file sizes allow for hydrodynamic modeling of large near- and offshore ecosystems. Clients combine their products with real-time weather, current and wind data to analyze the flow of pollutants around energy and aquaculture development projects. ADSIC, which is responsible for the IT agenda for the Abu Dhabi Emirate, purchased the marine data products on behalf of the Emirate’s Environment and Transportation agencies, and the Abu Dhabi Municipal government as part of the Abu Dhabi Spatial Data Infrastructure Imagery Initiative project (AD-SDI). Both offshore datasets are included in off-the-shelf archives of global marine products TCarta Marine is now developing. 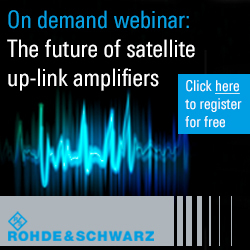 The 2m Satellite Derived Bathymetry covering the Arabian Gulf is available now, with the Red Sea offered by mid-2017. Later this year, data searches and purchases will be made through the TCarta Marine Bathymetrics online portal. The TCarta 90m Bathymetric GIS Package is included within the Marine Basemap Plus streaming subscription service, delivering up-to-date value-added marine layers directly into a GIS. It is available now for the Gulf of Mexico and Arabian Gulf with the North Sea offered by late 2017.